Dark Sarah is a new project of Heidi Parviainen (ex Amberian Dawn) that combines elements of metal music, film music and music theater. The renewed line up now includes JP Leppäluoto as a permanent member of the band adding a powerful and dramatic male voice on Heidi’s side creating the unique sound that Dark Sarah is today. The albums are concept albums and tell a story of a young woman Sarah and her evil side persona Dark Sarah. The debut album “Behind the Black Veil” was published in May 2015 and the second album “The Puzzle” in November 2016 in Europe and North America throughInner Wound Recordings. The third album and final part of the first trilogy (The Chronicles) called “The Golden Moth” was released on Sep 21st 2018. 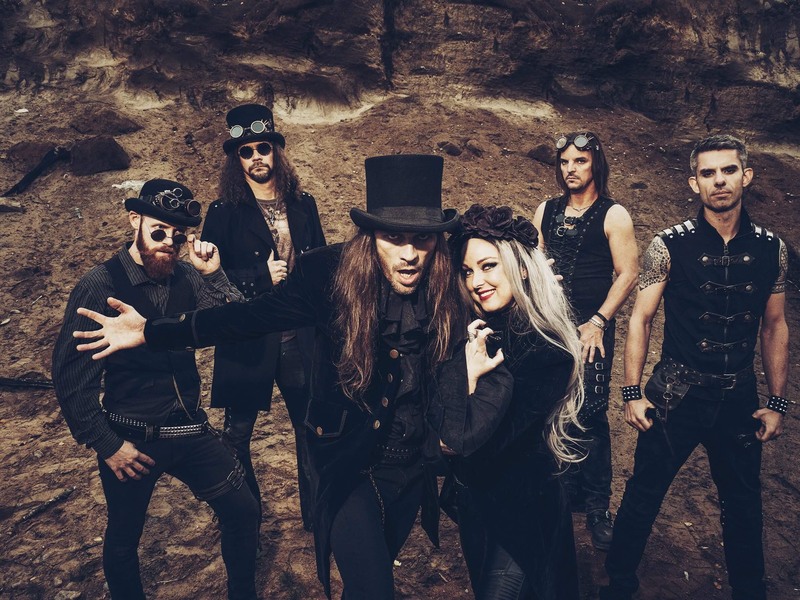 After a successful Finnish tour with Sonata Arctica – and new management by Master Events – Dark Sarah is ready to spread its extraordinary metal music to the world.